The common name millipede literally means thousand legs. Millipedes can have a lot of legs, but not nearly as many as their name suggests. If you compost your organic waste or spend any time gardening, you're bound to find a millipede or two curled up in the soil. Like insects and spiders, millipedes belong to the phylum Arthropoda. This is where the similarities end, however, as millipedes belong to their own class—the class Diplopoda. Millipedes move slowly on their short legs, which are designed to help them push their way through the soil and vegetative litter. Their legs remain in line with their bodies, and number two pairs per body segment. Only the first three body segments—those of the thorax—have single pairs of legs. Centipedes, in contrast, have single pairs of legs on every body segment. Millipede bodies are elongate and usually cylindrical. Flat-backed millipedes, as you might guess, appear flatter than other worm-shaped cousins. You'll need to look closely to see a millipede's short antennae. They're nocturnal creatures that live mostly in the soil and have poor sight when they can see at all. Millipedes feed on decaying plant matter, functioning as decomposers in the ecosystem. A few millipede species may be carnivorous as well. Newly hatched millipedes must ingest microbes to help them digest plant matter. 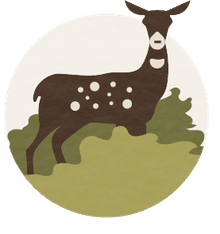 They introduce these necessary partners into their systems by feeding on fungi in the soil, or by eating their own feces. Mated female millipedes lay their eggs in the soil. Some species lay eggs singly, while others deposit them in clusters. Depending on the type of millipede, the female may lay anywhere from a few dozen to several thousand eggs in her lifetime. Millipedes undergo incomplete metamorphosis. Once the young millipedes hatch, they stay within the underground nest until they've molted at least once. With each molt, the millipede gains more body segments and more legs. It may take many months for them to achieve adulthood. 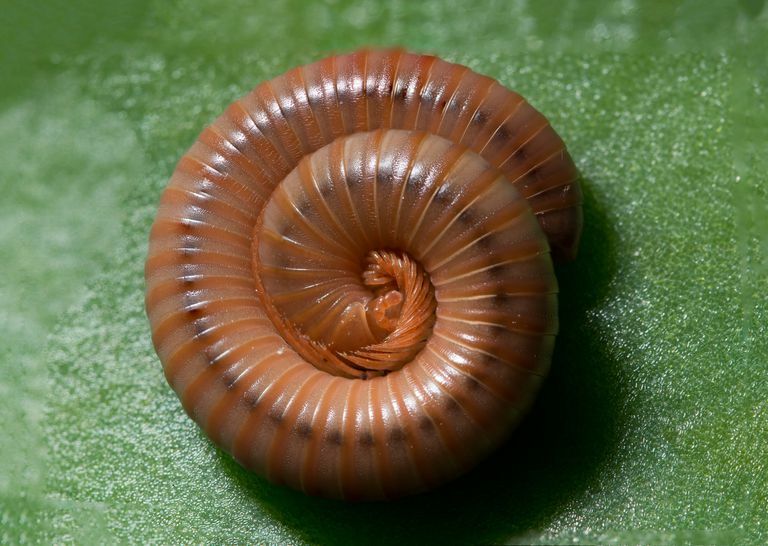 When threatened, millipedes often curl into a tight ball or spiral in the soil. Though they cannot bite, many millipedes do emit poisonous or foul-smelling compounds through their skin. In some cases, these substances may burn or sting, and may even discolor your skin temporarily if you handle one. Some of the brightly colored millipedes secrete cyanide compounds. Large, tropical millipedes can even shoot a noxious compound several feet at their attacker's eyes.